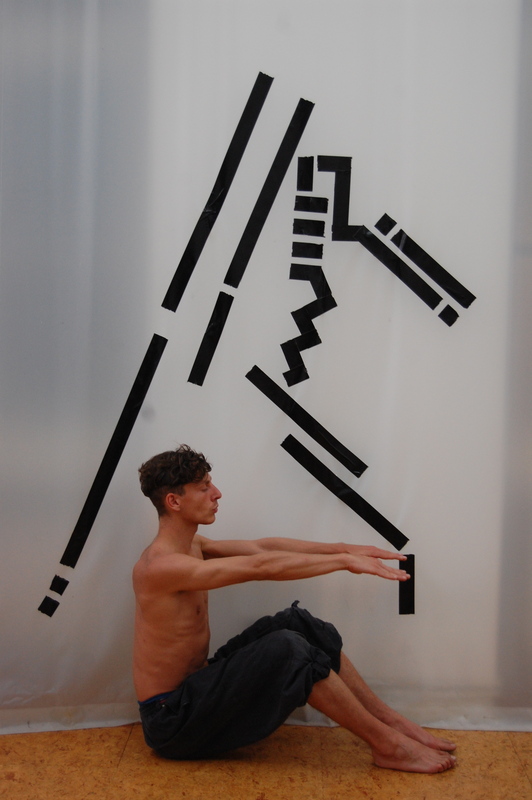 Diagramer was conceived and performed in Berlin (2010 and 2012) and London (2012). 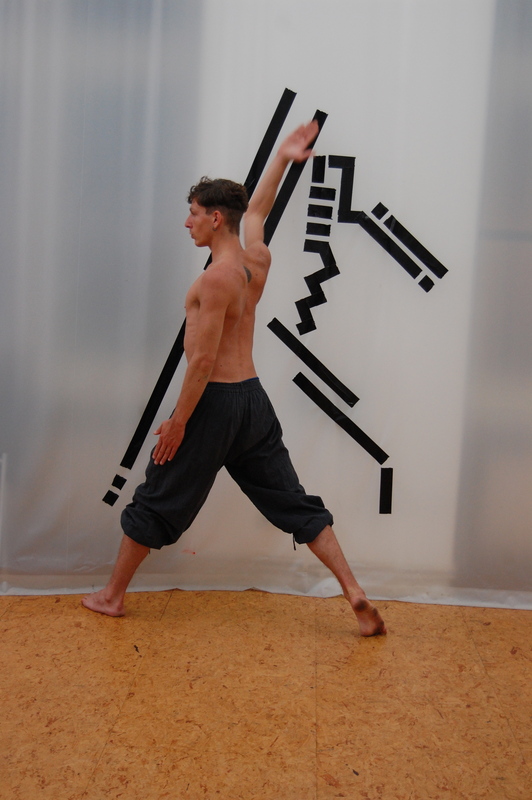 Diagramer is an exploration of line, direction and breath in connection to the body, creating abstract diagrams. 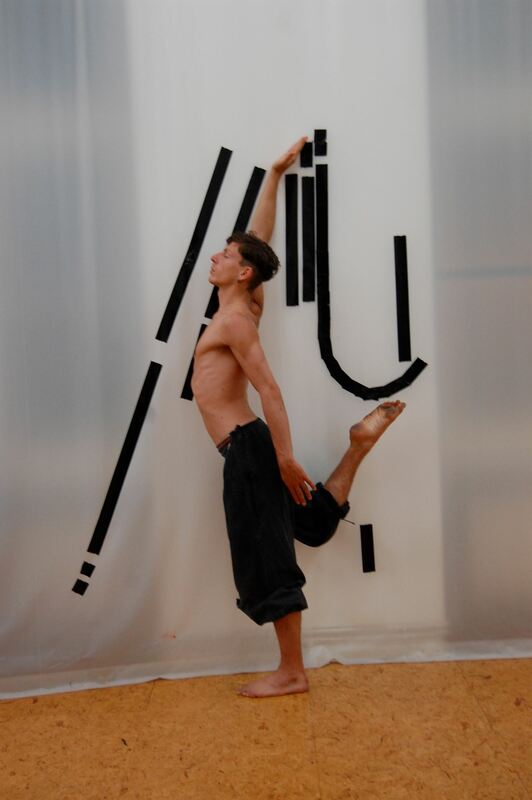 Diagramer, Berlin(2012), performed at Factory-Art Gallery. Diagramer exists in different forms and constallations. My curiosity about geometry, painting, composition, space and cosmic fractals brought me to explore the unlimited ways of expression pushed by these elements. The work has also been inspired by "Point and line to plane" written by W. Kandinsky, readpapted by the conteporary writings about fractality and elements. In this performance, I explore the space with the screening media, projection and black tape onto a white background which becomes the essential part of the piece. Diagramer adapts to different physical and metaphysical spaces. A huge importance also comes from the awareness on breathing and the sensation in the body.